Chartered in 1834, the Long Island Rail Road Company (LIRR) is one of the few railroads that has survived from its conception to the present. Aging infrastructure is a constant issue for the company, so when a 115 year old structure in the Village of Thomaston just 19 miles from Times Square was deemed structurally deficient, a replacement was needed. Since the bridge was not historically or architecturally notable, LIRR decided that replacement was a better option than rehabilitation so that improvements could be made to the area. The scope of the project included: 1. Replacement of the original, deteriorating structure, 2. construction of a new 12-car pocket track, and 3. improvement of the existing right-of-way to mitigate flooding and drainage issues. During the planning phase, site challenges such as difficult soils for footings, a skewed roadway alignment, and the need to keep the trains running as much as possible for Long Island commuters were all considered. In the end, a 52' x 11'-2" CON/SPAN® O-Series® Bridge System, 324' in length, was designated as the best bridge replacement option to meet the requirements. 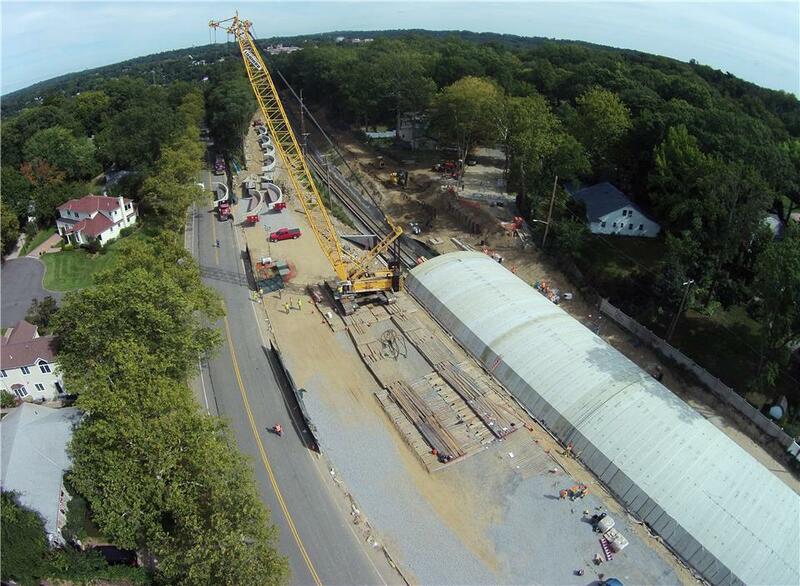 The precast system's ability to be installed quickly and efficiently was imperative since the railroad could be closed for a maximum of only three weekends. All but two of the 84 precast arches were subtly pie-shaped to span the track's radius, allowing no room for error. 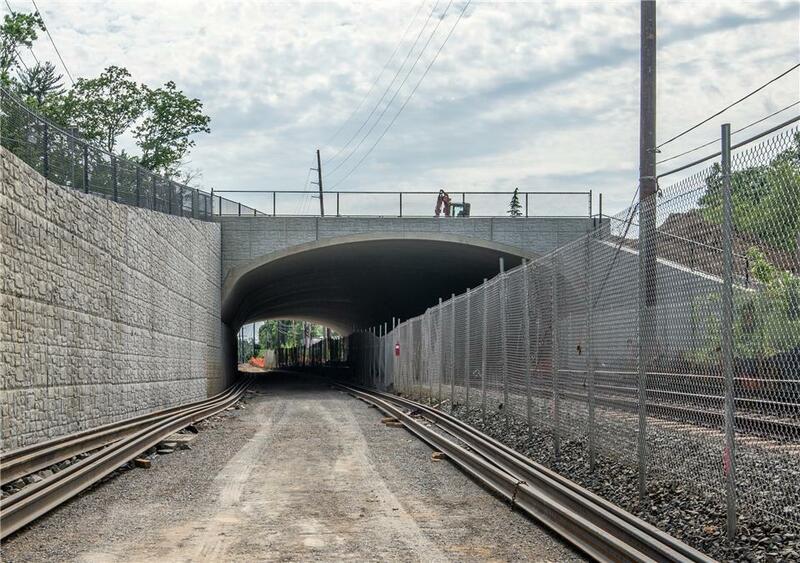 Utilizing pie-shaped pieces allowed for the use of 52' span arches, instead of 62' span arches, providing a considerable materials cost savings to LIRR. The arches were produced 100 miles away and then delivered to the site on 42 flatbed trailers at night when traffic was light. Installation went smoothly with an arch set in place via crane approximately every 20 minutes. In fact, the project was completed within budget and ahead of schedule using only two of the three weekend closures. "Contech Engineered Solutions went the extra mile at many points in this project and made it a successful project for everyone," stated Adam Schmitt, Project Manager with Railroad Construction Company, the project's contractor. The project achieved several major benefits, including the ability to turn trains faster, run more trains during rush-hour allowing for a quicker commute, reduce flooding problems, provide a safer commute for vehicles, and reduce the noise for nearby residents. The project was recognized with the following two awards: the "Metropolitan Section Design/Build Project of the Year" award by the American Society of Civil Engineers (ASCE) Metropolitan Section and the American Council of Engineering Companies (ACEC) Engineering Excellence Structural Systems award.